Mercury News reported that OnLive owed $30 million to $40 million to various creditors and had little money to pay them at the time of their ABC bankruptcy. Insolvency Services Group (ISG) is the Assignee in OnLive's assignment for the benefit of creditors (ABC). OnLive's assets were transferred to ISG, which will use them to partially pay the company's outstanding debts. Insolvency Services Group CEO Joel Weinberg said that OnLive had failed to find a buyer despite shopping itself around and was facing a complete shutdown of its services. He said that OnLive was in dire straits. It only had days to live in terms of cash flow and the like. Something had to be done immediately or there would have been a hard shutdown, which would have been a disaster. ISG was brought in by OnLive just a few days before the company ceased operating. Later that same day, ISG sold OnLive's operating assets to a new company, which also calls itself OnLive and has continued to run its games service. 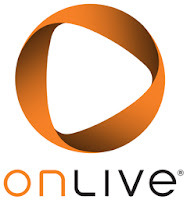 The new OnLive is funded by Lauder Partners, a venture capital firm owned by Gary Lauder. Among the assets sold to the new company were OnLive's intellectual property, Weinberg said. Weinberg declined to say how much Lauder Partners paid or whether there were alternative bids. ISG is still assessing OnLive's total assets, but between the assets already sold and the deposits and other nonoperating assets that ISG retained, Weinberg expects to be able to pay creditors only 5 to 10 cents on each dollar OnLive owed.